One of France’s most underrated regions, Franche-Comté is largely rural and celebrated for its varied and lush landscape of forests, mountains and rivers. The gastronomy of its four départements – Haute-Saône, Jura, Doubs and Territoire de Belfort – is rustic and self-sufficient, with strong culinary ties to neighbouring Switzerland. Before industrialisation and transport links connected the region, which is full of remote villages, to the rest of France and beyond, its population survived the cold mountain winters by concocting warm and hearty meals from the most plentiful ingredients available – mainly cheeses, local milk and pork products. The cuisine bears similarities to that of the Alps, with temptingly cheesy tartiflettes, raclettes and fondues bulking out the majority of menus. However, each département has its own cheese and meat varieties, which make their own mark on each dish. Comté fondue is a regional favourite which makes the most of the fruity, nutty flavour of the Jura Massif’s most prized cheese. 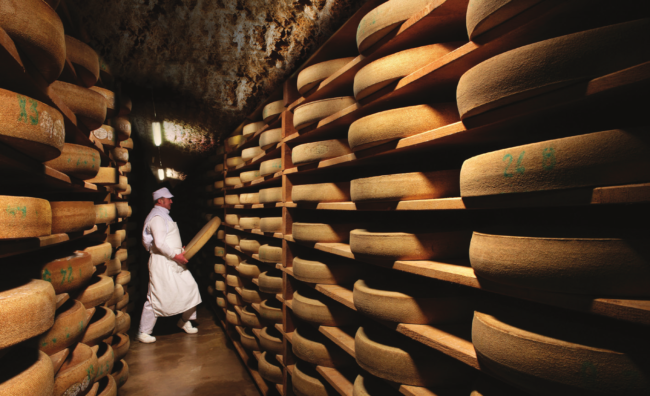 Due to its traditional production, Comté was one of the first cheeses to receive AOC (Appellation d’Origine Controlée) status, back in 1958. Franche-Comté accounts for 17% of France’s dairy produce, most of which is made from the milks of the Montbéliard cows bred in the region. One ancient speciality cheese, Mont d’Or, is cellar-aged for three weeks in wooden moulds and was once enjoyed by King Louis XV. 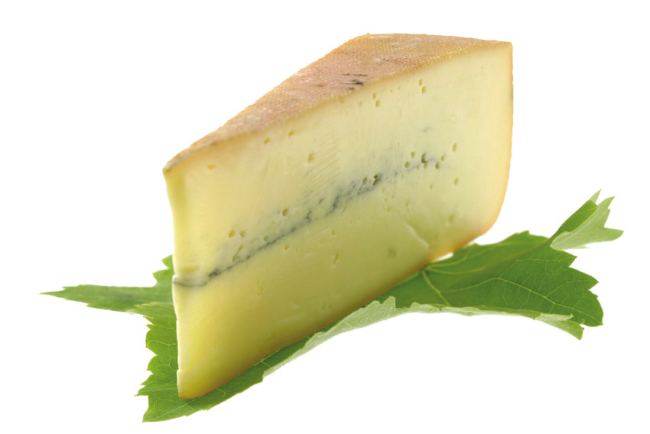 Other well-known fromages include Bleu du Haut-Jura, a mild blue cheese produced using artisanal methods, and the semiliquid, unpasteurised Cancoillotte. Morbier, a raw cows’ milk cheese created in 1875 which traditionally has a thin black layer running horizontally through its centre, once of ash now vegetable dye, was awarded AOC status in 2011. As cows are widely reared for their milk in Franche-Comté, the staple meat is pork. The region’s specialities are smoked sausages, such as the Montbéliard, which is cured over sawdust and often served with warm Cancoillote cheese. The Morteau sausage is similar but larger and smoked for longer – a minimum of 48 hours. It’s popular as both an appetiser and as part of a main course, and its smoky goodness is best enjoyed with a knob of butter melted on top. 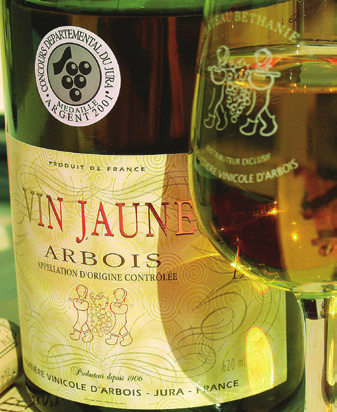 ‘Vin jaune’ is a yellow-coloured wine, fermented from the white Sauvignon grape variety, that’s specific to the Jura. It’s characterised by the maturation method – in a barrel, under a film of yeast that coats the wine’s surface. Vin jaune is similar to dry sherry in flavour and aroma, and is a heavenly accompaniment to ‘coq au vin jaune’, the Jura’s own version of the classic French dish in which it features. Each February, a festival takes place across the Jura, to celebrate the first tasting of the year’s vintage. The vin jaune is transferred from barrel to bottle, having spent an astonishing six years and three months ageing.